Made from durable, aircraft grade magnesium alloy, Corey is the entry-level model in the Punks range from British designer, 3-Legged Thing. Designed for travellers who need their tripod to be as compact as possible, it packs down into a tough nylon carry bag and has a folded length of only 350mm. Yet it can support loads weighing up to 14 kilograms, a 9:1 payload-to-weight ratio. Corey is tougher and more configurable than tripods similar in size. 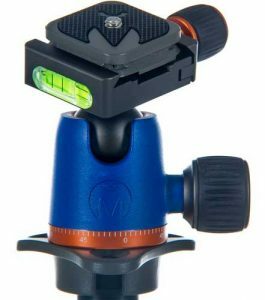 In addition to being supplied with a compact ball head, which has integrated bubble levels, it can be fitted with a number of different plates and clamps and adapted for right or left handed users. A calibrated scale in the pan base enables users to re-set the orientation to its original position after panning. The five-section legs are easily adjusted and kept in place with secure twist locks and the legs can be locked at three different angles. Four different ‘Footwear’ accessories are available to suit different terrains. 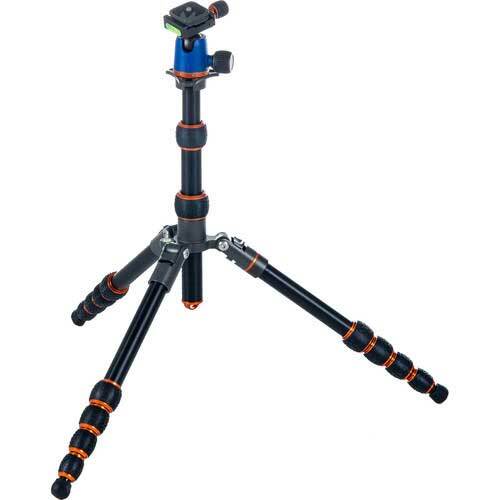 One leg can be removed and attached to the head section to convert the tripod into a monopod, camera boom, microphone boom, lighting arm or selfie stick. The centre column can also be reversed for worm’s-eye-view shooting. An optional L bracket makes it easy to swap the camera between portrait and landscape orientation. Ball head utilises an Arca-type clamp and includes an Arca-type compatible quick release plate.